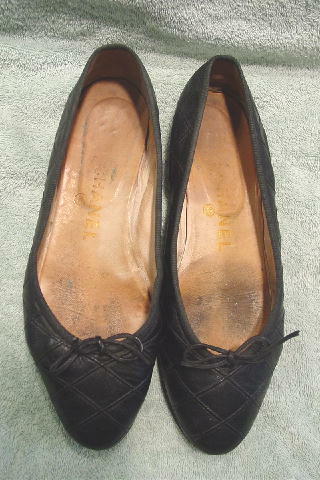 These vintage black leather ballet flats are by Chanel and were made in Italy. The exterior has a quilted effect appearance. Even though they've been worn a lot, they still have plenty of life left in them. 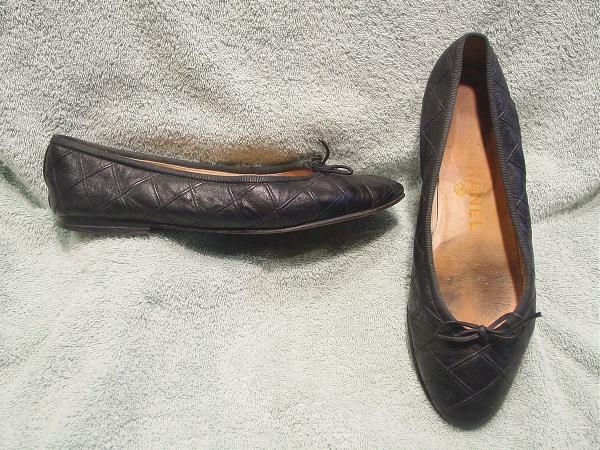 They have a leather bow on the vamp and the foot opening has a micro-mini ridged leather edging. 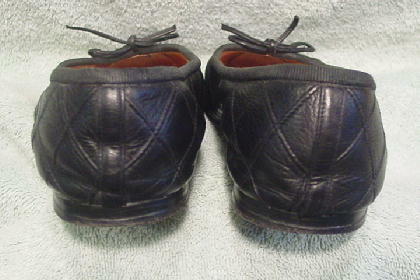 The right shoe has a small ding on the outer toe and outer middle side. They're from a stylist's personal collection.